Shine bright like a Diamond? 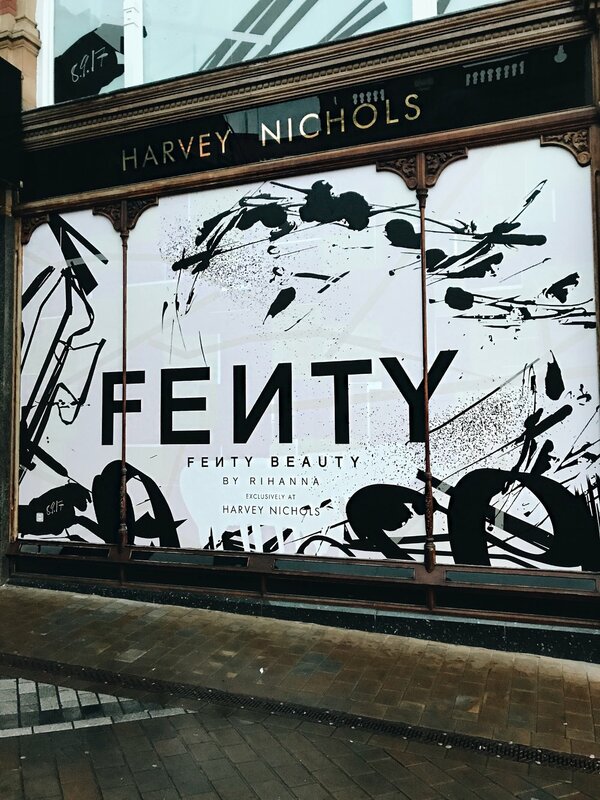 I'd rather shine like a KILLAWATT after having viewed the collection of FENTYBeauty earlier today at Harvey Nichols in Leeds! Anyway! 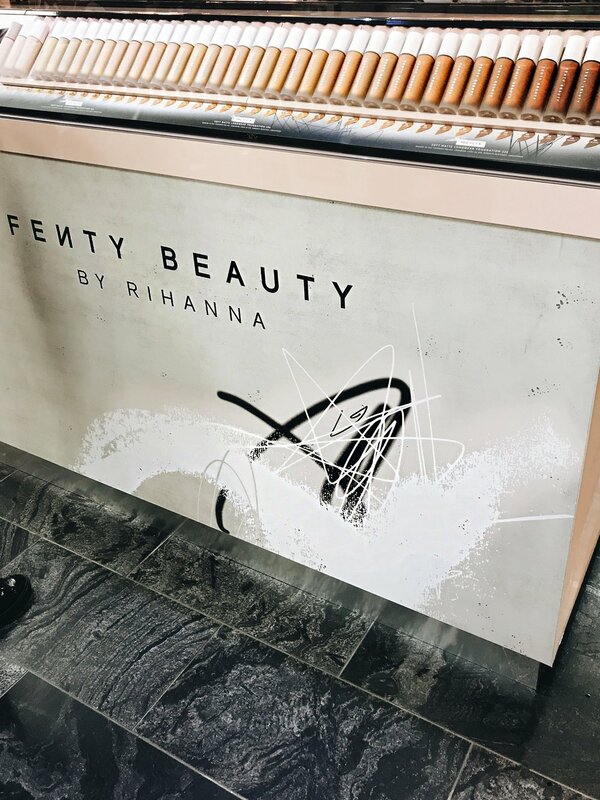 The reason for the launch being at 7am, was to allow bloggers and press within Yorkshire to view the full FENTYBeauty Collection before its worldwide release shortly afterwards, and with such secrecy surrounding the Collection, I felt incredibly lucky to have been there. As the doors opened into Harvey Nichols, the music was blaring, and we began to soak in the atmosphere! 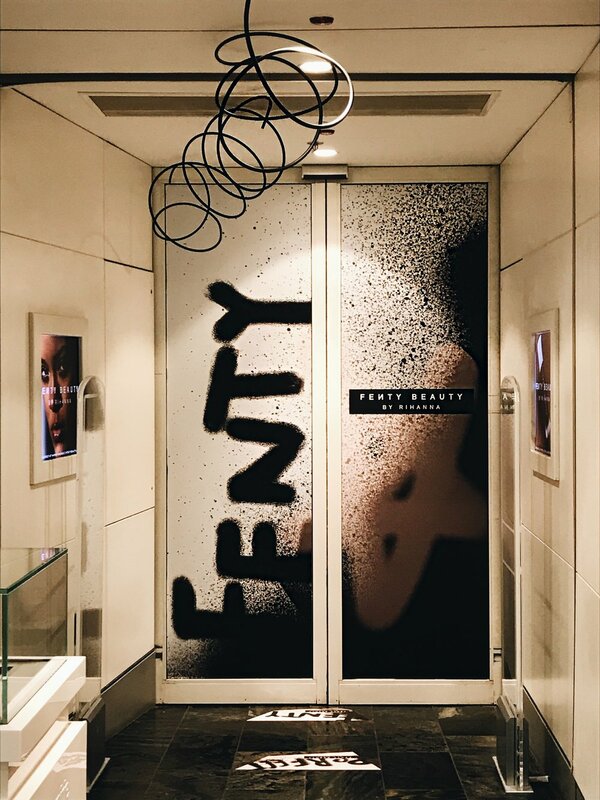 I was slightly surprised yet pleased to hear that Rihanna was there every step of the way throughout the process, right from creating the formulas, to creating the design for the packaging! 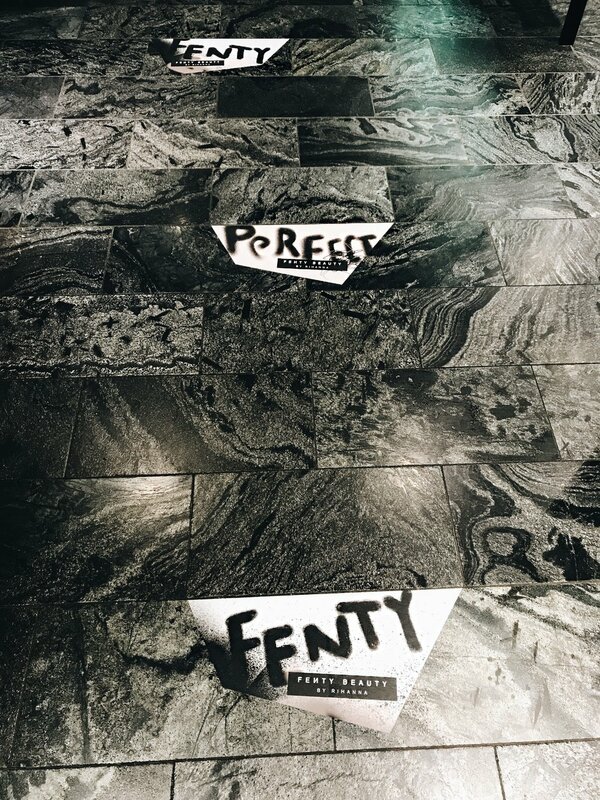 FENTYBeauty packaging is a contradiction in itself which reflects both Rihanna's on screen, and off screen personalities. 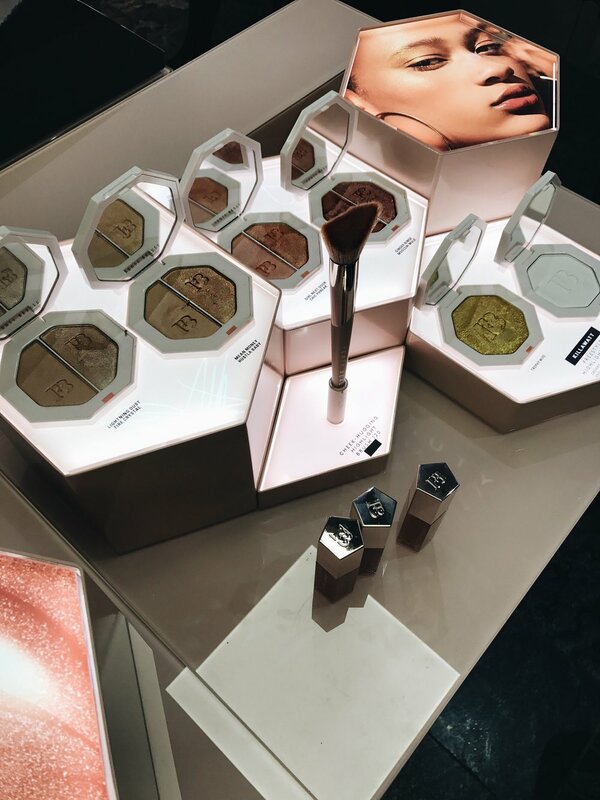 The outer packaging has the bold, daring graffiti sprawled across them whilst the packaging of the products themselves, come with a sleek, clean and minimalistic look which shows a softer side to Rihanna. Now for the part in which I'm sure you all want to know right? The full collection! 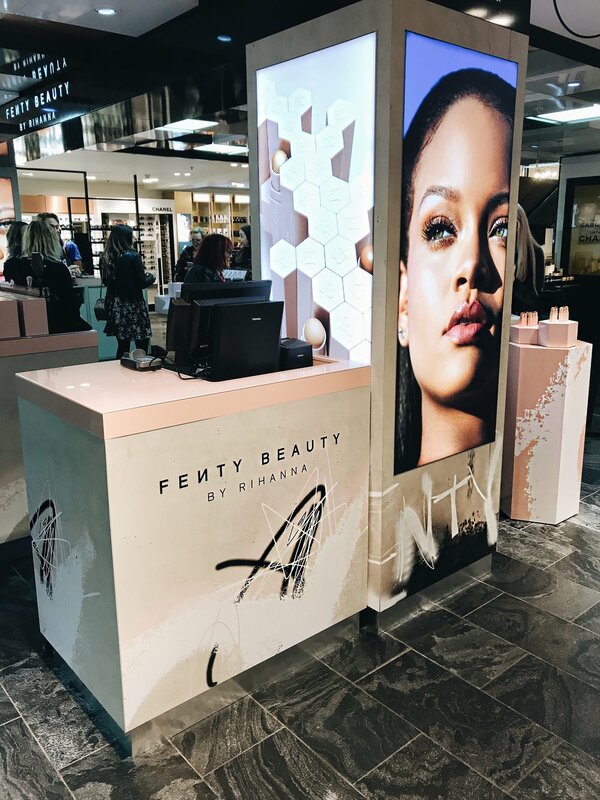 Starting from as little as £8, FENTYBeauty products are affordable, whilst offering that high-quality, luxury feel to them without the price tag! 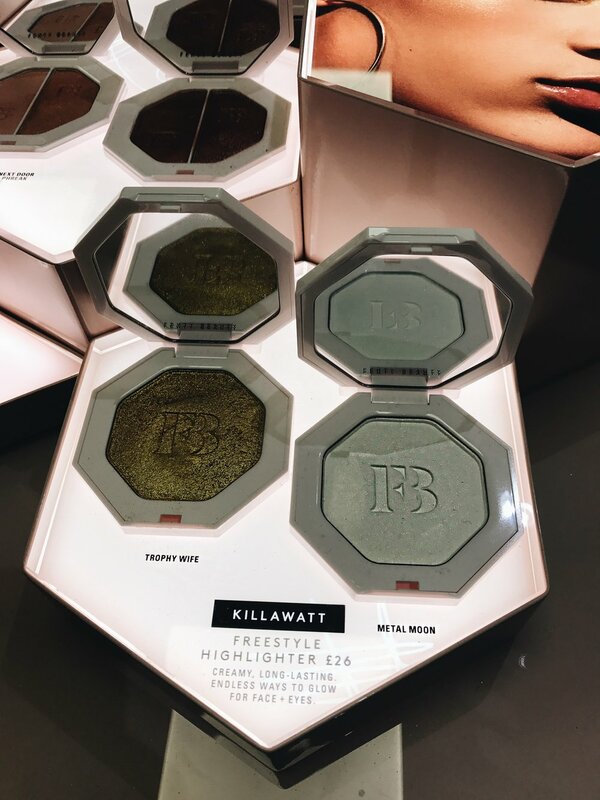 KILLAWATT FREESTYLE HIGHLIGHTER 'Trophy Wife' - I love how bold and effortless this highlighter looks upon the skin, and I love how it catches the light even when blended offering a subtle yet intense shine! 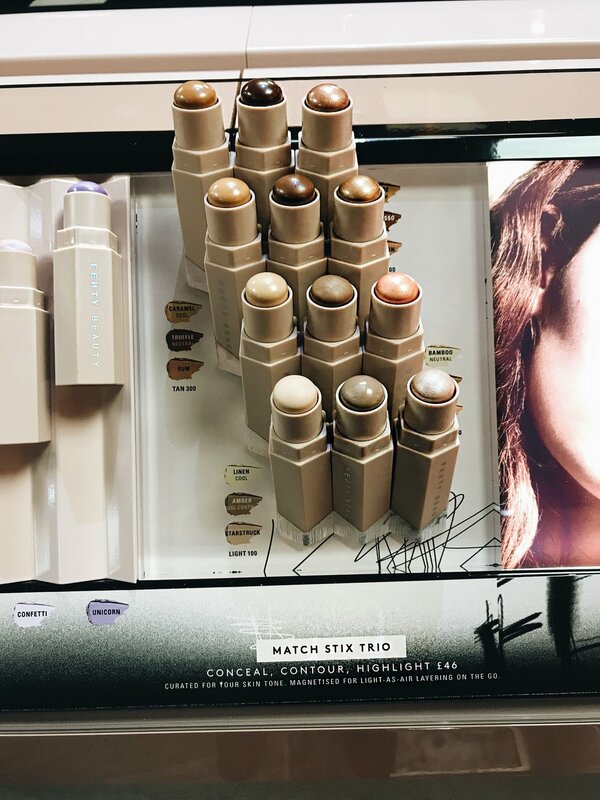 THE MAGNETIC FEATURE OF THE PRODUCTS - I find this feature of each product really unique and a clever way to group the products whilst in a makeup bag which will save time and energy scrambling through trying to find them! 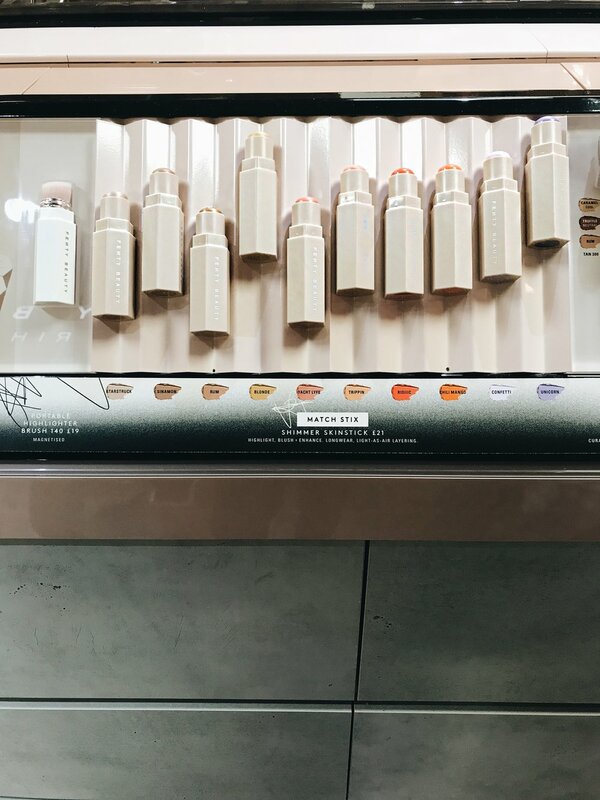 Overall, a stunning first collection from FENTYBeauty, and I am beyond excited to see what's next from the brand! 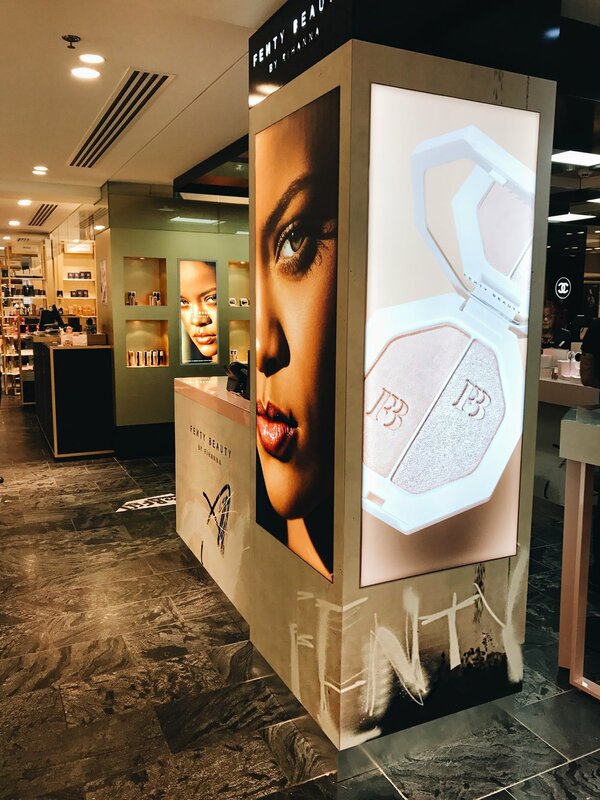 To view the full range of FENTYBeauty products in the UK, then click here to view them! If you are from the US/Worldwide, then click here! 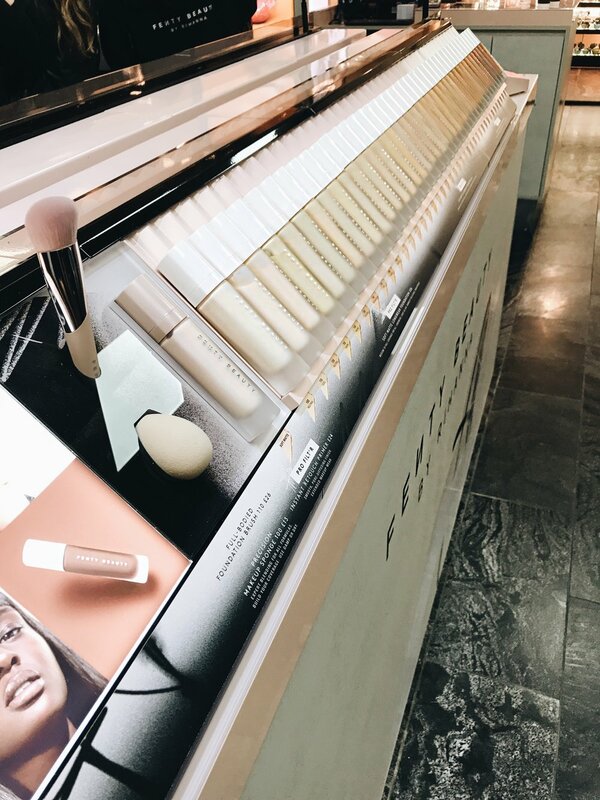 Have you tried any of the FENTYBeauty products yet? Which are you most excited to try out? Will you be looking to purchase any of these? How do you feel about Rihanna bringing back Blotting Paper!? Do let me know your thoughts below, as I would love to hear from you, and don't forget to click that 'like' button!